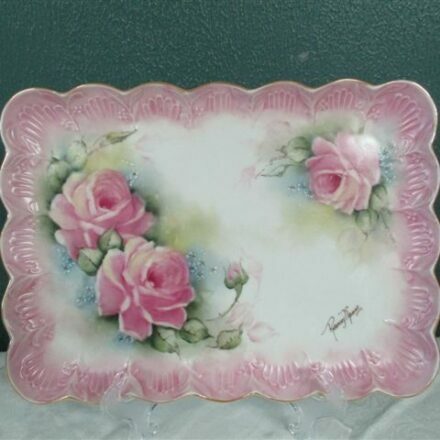 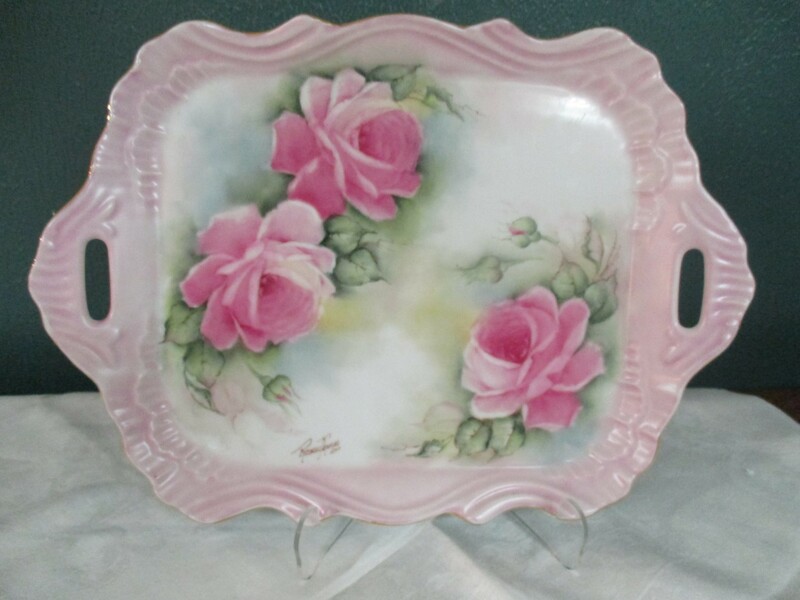 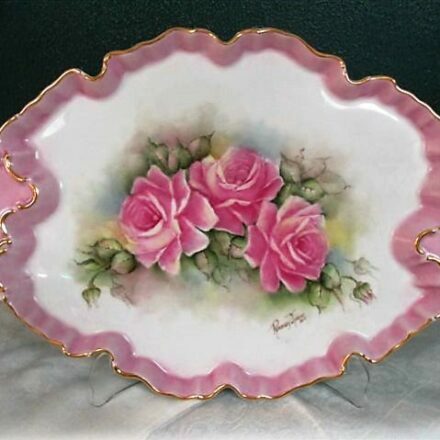 Scrolled handled tray, 14″, beautiful scrolled edge with handles which gives it a lacy appearance. 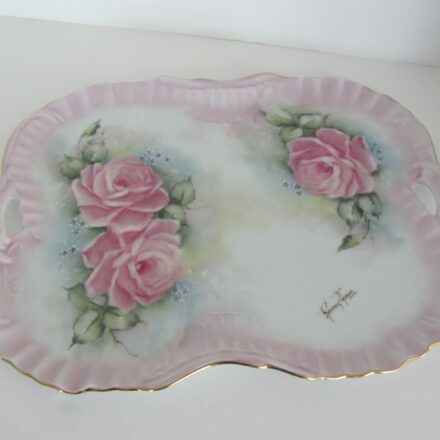 Delightful tray to hold a 3-pc. 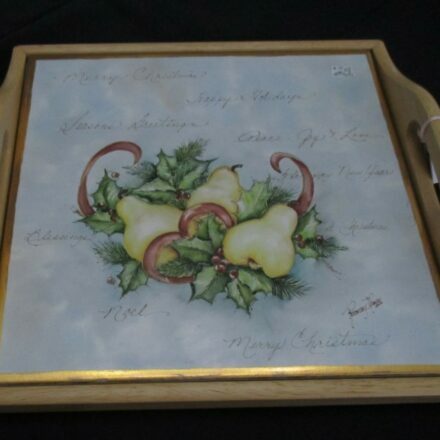 tea set or a very special dresser to hold your treasurers.